With this app you can present your images in "book style" on the iPad! The optics corresponds to a real book with "leaves" function. The design can also be customized. 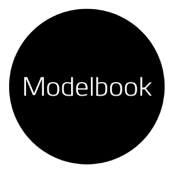 We hope you enjoy Modelbook!